SALEM—McNary’s girls cross country team took the long view at Bush Park. Running in the Greater Valley Conference Preview Meet on Wednesday, Aug. 30, head coach David Holcomb challenged the Lady Celts to run as a team instead of trying to set a bunch of personal records in the first 5K of the season. 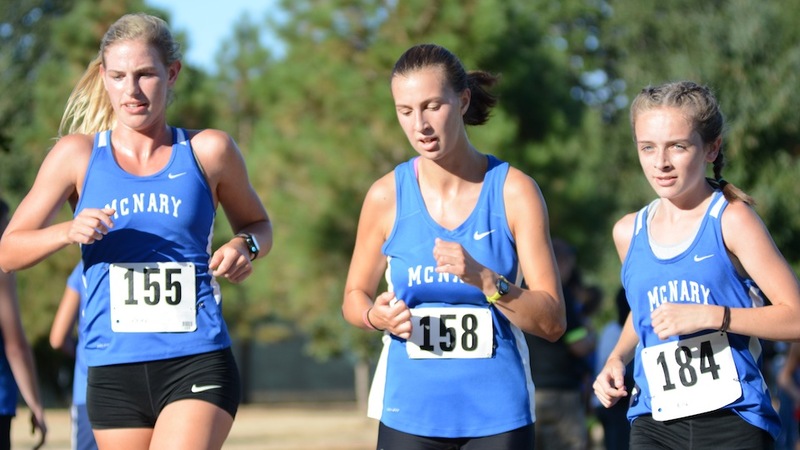 While Doutt was the first McNary runner to cross the finish line in 23:36.99, or more than 4 minutes slower than her PR, Repp and Emma Garland were right behind her in 23:37 and 23:42, respectively. Reyna Terrazas and Alison Repp then finished in 24:04.03 and 24:04.48, followed by Sabella Alfaro in 24:30.59 and Makayla Long in 24:40.97. The plan was about competing, not just as individuals, but as a team at the district meet at the end of October. “Their times in October are going to be drastically faster,” Holcomb said of Doutt and Ella Repp. “We hope as far as a core, the seven girls that are on varsity in October, the thinking is we want them, Kailey and Ella will run in the top 15-20, we know that, but as far as Reyna and Allison and Emma go, if they can be somewhere in the top 45-50, that starts to change things as far as where we place as a team. If those girls are in the top 45, we have a chance to compete in conference. Freshman Ethan Whalen led the McNary boys, placing 25th in 19:06.04. Senior Jonas Honeyman took 28th in 19:16.58. Brennan Whalen (19:55.05), Samuel Hernandez (19:59.59) and Emmanuel Figueroa (20:00.76) rounded out the top five for the Celtics. Holcomb was also proud of his JV boys as senior Noah Egli finished fifth in that race in 20:22.32. Tristan Proctor (20:49.90) and Brock Wyer (20:57.04) placed 14th and 15th, respectively. McNary’s next meet is Wednesday, Sept. 13 against McMinnville and McKay at Joe Dancer Park. “It’s a really fast course so hopefully they can get good times,” Holcomb said. 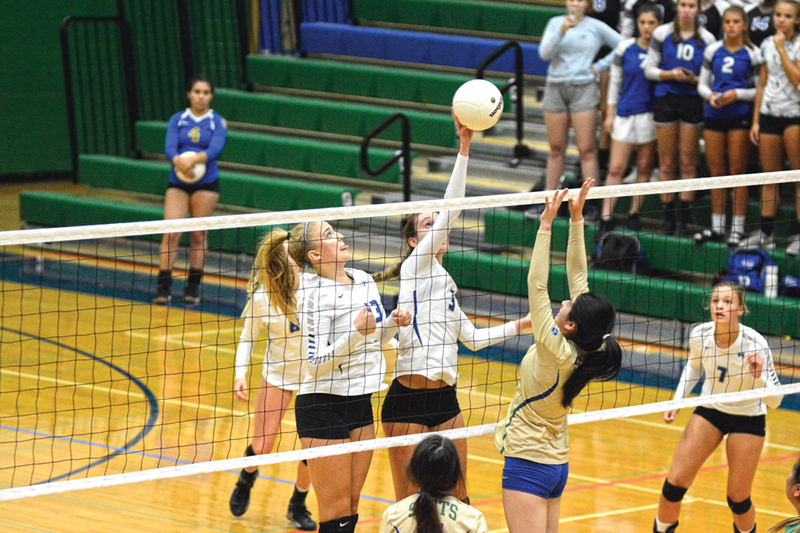 McNary began the Crystal DeMello era of volleyball with a 3-0 win at McKay on Tuesday, Aug. 29. “It’s exciting to get the season rolling,” said DeMello, a McNary graduate and former player in her first season as the Lady Celts head coach. The closest of the three games against McKay was the first one as McNary led 19-12 but the Scots came storming back to tie the set at 19-19. The Celts regained the lead on a McKay service error and held on for a 25-21 victory. Freshman Taylor Ebbs got the start and had two kills in the final four points to seal the victory for McNary. Senior Valerie Diede also had a kill down the stretch. “We just got our momentum back and our energy back and our confidence and once we got that, we were back to ourselves,” Ebbs said. The Celts carried that momentum into the second game, taking a 14-7 lead before putting away McKay 25-15. McNary then jumped out to a 12-1 advantage in the final game and won 25-9 to finish off the match. “The girls are a great team,” DeMello said. “Everybody played tonight. Everybody stepped in and I felt like it was seamless, which is something that I love about this team is that they can all play together and lead each other.